If you’re reading this, then heck yeah, I’ve already cleared one of the first hurdles of communication – getting your attention. Thank you for that! Have I mentioned how awesome you are? Yes, you’re awesome. Okay, enough with the flattery. In public relations, one of our biggest challenges is getting the stories we tell about the products and people we work with seen by people who, we hope, ultimately care about the brand or product. Simply sending a press release doesn’t cut it anymore in a world where everyone is doing that for whatever they think is news. As communicators, it’s up to us to evolve (see what I did there?) and experiment with new media channels to see what works for the stories we want to tell. 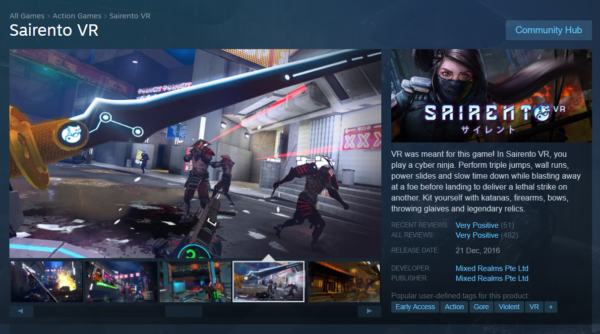 Late last year, I worked with Mixed Realms to help tell a story about the development of their cyberpunk ninja action game: Sairento VR (which you can find on Steam). We used Imgur as the platform for the story, and while it didn’t go viral, there were some useful learning experiences I wanted to share. We obviously wanted to talk about the game, but how should we talk about it? In order to learn more about the game, I spent some time with the developers exploring stories from throughout their development such as the initial prototype, fan feedback, unique aspects of the game, and anything else that’s particularly memorable or just plain cool. In the end, we structured the story made of GIFs in a chronological fashion that described the features of the game and showed some badass action. It took some cooperation between us and Mixed Realms to upload and create the post, because we believed it would give the post more authenticity if it came directly from the developer rather than a PR company. We also wanted to prioritize storytelling over marketing, so while there are links to a store where you can purchase the game, we tried to stay away from sales-like marketing copy. 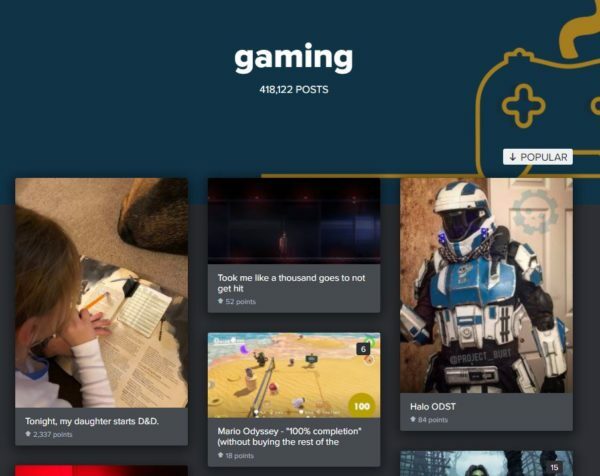 Imgur also gives you the option to tag your post so people who follow certain topics can see it. While there are VR communities, they aren’t yet as well populated as some other subjects like Xbox, PS4 or gaming. This post was tagged with VR, oculusrift, virtualreality and gaming, among others based on the developer’s discretion. Overall, the post got a modest 2,700+ views on it, 34 upvotes and a handful of comments; however, there are still other opportunities for its use. I’ve used it in some pitches and they’ve included a link to it in their Steam store description. – Meet with the people working on the game and ask them to tell you about its creation from the beginning. Having them explain the story of the product usually uncovers interesting micro stories within the larger story of it. – Figure out the best way to tell the story on the platform you choose to tell it on. We chose a series of GIFs and images on Imgur, but you can also tell one in a single GIF and a thought-provoking caption. – Humans enjoy stories, but they don’t enjoy having things sold to them. When you’re telling yours, I’d highly recommend prioritizing storytelling first and then marketing the product second. – Use popular tags on Imgur that people frequently check for higher organic visibility, but make sure they’re relevant to your product. In the end, as long as you have various uses for the story you tell, it never hurts to explore new ways to tell it. It’s just another way of making your assets an asset. Got a good story or a sick meme you’ve posted to Imgur that’s gone viral in the past? Link us to it!